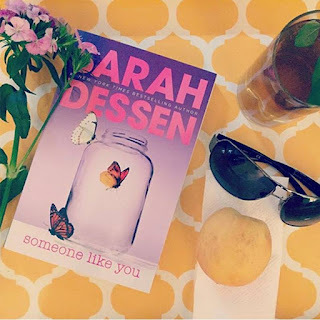 You guys know I am a huge Sarah Dessen fan and I am part of the #ReadADessen campaign that features all of her novels until the release of Once and For All, which is due out next month. I am so excited, because it isn't summer unless I am reading a Sarah Dessen novel. This week we are talking about The Moon and More, which I thoroughly enjoyed when I read it a few years ago. 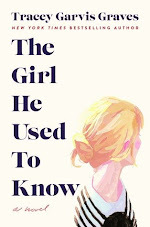 And how gorgeous is the new cover? Goodreads says, "The perfect life? At first glance, Emaline seems to have it all. A great boyfriend, a close-knot family, an idyllic beach town to call home. But now, in the summer before college, Emaline wonders if perfect is good enough. Then she meets Theo, an ambitious young New Yorker assisting on a documentary film about a reclusive local artist. He's sophisticated and exciting, and thinks Emaline is destined for bigger things. Emaline wants the moon and more, but can she balance where she comes from with where she's going?" 1) Characters - Dessen writes such memorable characters and I loved the character of not only Emaline, but also her best friends Daisy and Morris. 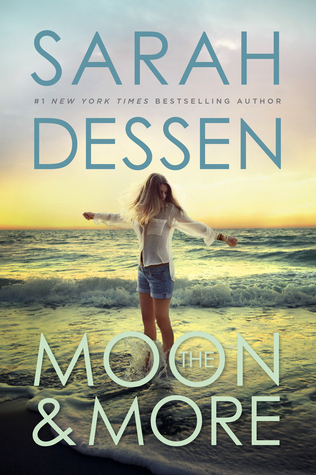 Somehow Dessen creates secondary characters that are just as memorable as the main character. 2) Relationships - Yes, most of Dessen's "summer reads" focus on that one important summer and that one special love, but this book has so much more than that. Emaline's rocky relationship with her father is important in this novel as well as her younger brother. But more importantly, The Moon and More is all about Emaline's relationship with herself before she goes off to college. 3) Colby - I want to move here. No seriously. Colby is Dessen's fictional southern beach town which is the setting of many of her novels. Coming back here is like revisiting an old friend. For the Dessen fan, this is always so much fun, especially when you catch cameos from her other beloved characters. 4) Heart - The reason why I adore Dessen's novels so much is not only are the perfect for the beach thanks to the setting of Colby and the common theme of that one special summer, but they always, always have heart. They are beach reads with heart. They are smart, the characters are memorable, and the plot is always engaging. They aren't fluffy beach reads; they are so, so much more. 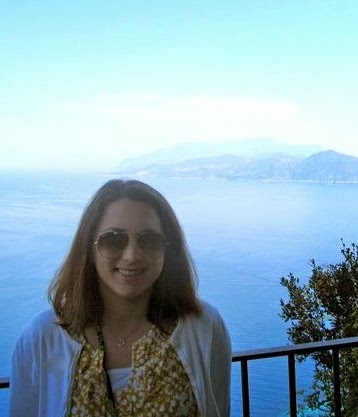 5) That Summer - You know the summer I am talking about. That one special summer that sort of changed things for you. A coming-of-age, if you will. Dessen does this so very well and in The Moon and More. For Emaline it's the transition from high school to college, which is an important time in an adolescent's life. Dessen captures this perfectly and how Emaline's most important relationship is, after all, with herself. She needs to understand herself and what she wants for the future. So, if my five reasons why you should read The Moon and More this summer didn't entice you to pick up a copy, check out my full review here. I think you'll be sold! 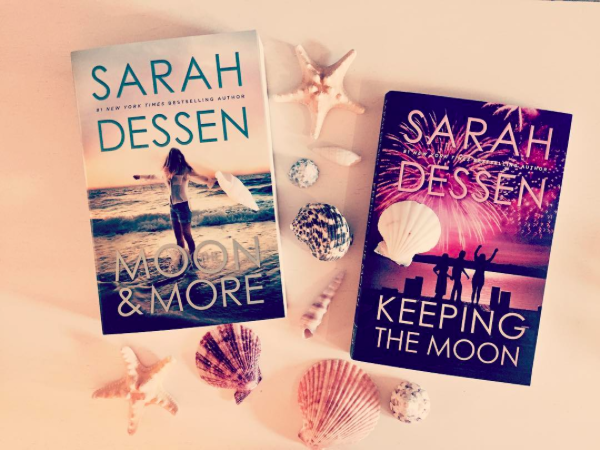 Are you new to Sarah Dessen or a long-time fan? What's your favorite Dessen? Do you plan on reading any this summer? Let me know in the comments below. I love this list of reasons!! I'm so in love with this cover, and your reasons are super persuasive, so I can't wait to pick it up! I am so glad you will check it out, Alice. You can't go wrong with Sarah Dessen in the summertime. Thanks for visiting. YES! Summertime is the perfect time to pick up more of her books. My favorite is The Truth About Forever and Along for the Ride. Have you read them? Thanks for visiting, Joy.